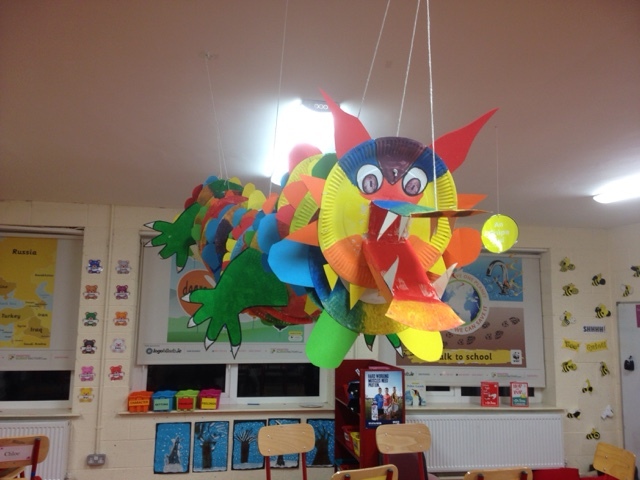 Room 22: Our collaborative class dragon! This week we began to prepare (ferociously) for celebrating Chinese New Year on February 8th! 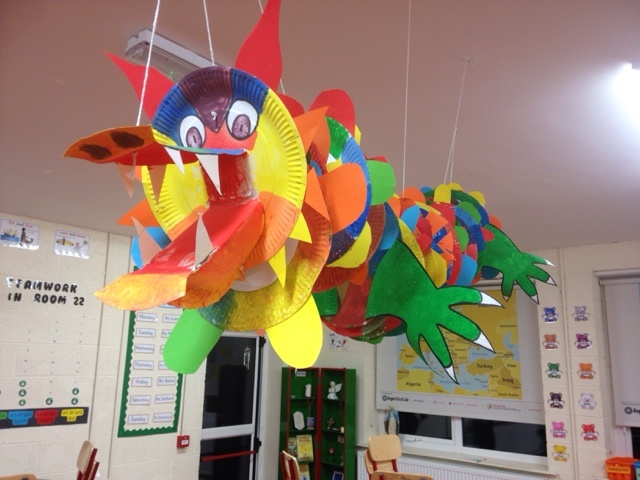 Together we created our own class dragon!! 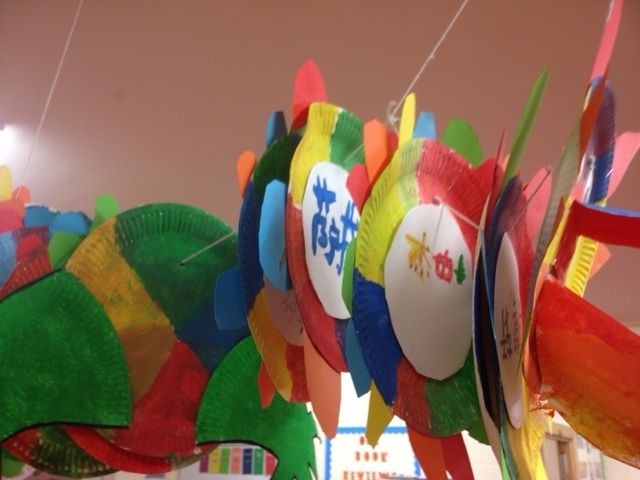 Each child painted a paper plate in the colours of the rainbow. Next they wrote their name in Chinese on another paper plate, cut it out and stuck it onto the painted plate. Following that they added semi circles around their plate to act as the dragon's scales. Lastly, it was my turn to work and put it all together! Check out the pictures below!